1. 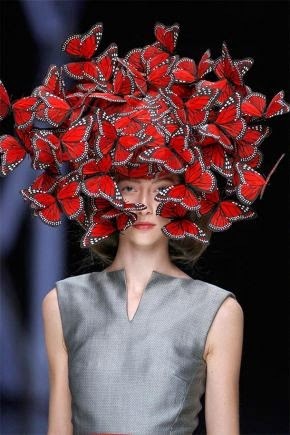 He had earned the award of the "British Fashion Designer of the year" for 1996, 1997, 2001,2003. 2. He was the youngest of six children in his family. 3. His father was Scottish and a taxi driver. 4. He started making dresses for his sisters, when he was in primary school. 5. His first name was Lee but he was persuaded by the famous fashion stylist Isabella Blow to use his middle name "Alexander". 6. He was David Bowie's designer for his tour in 1996-1997. 7. He was known for bringing drama and extravagance to the catwalk. 8. 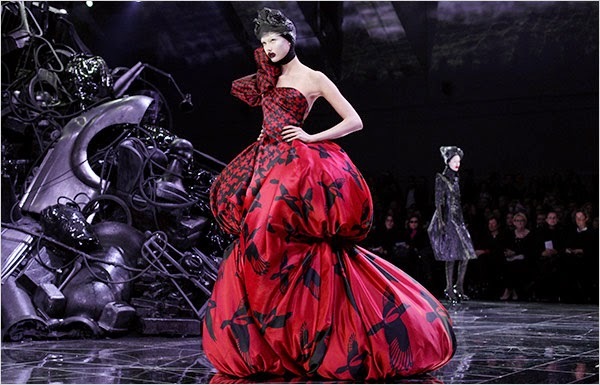 He was the head designer at Givenchy in 1996, succeeding John Galliano. He stayed there until 2001. 9. 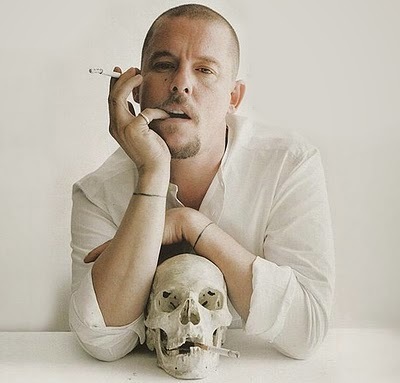 In spring 2011, Michelle Olley was asked by the Metropolitan Museum Of Art in New York to contribute to their Alexander McQueen exhibition "Savage Beauty", which turned out to be the most successful exhibition that ever took place in the museum. 10. He was the first designer to participate in MAC's promotion of cosmetic releases created by fashion designers. 11. He was an avid scuda diver. 12. Many people called him "l'enfant terrible" and "the hooligan of English fashion". 13. At age 16, he dropped out of school and he found work on Savile Row. 14. One of the defining features of his collections was their historicism. 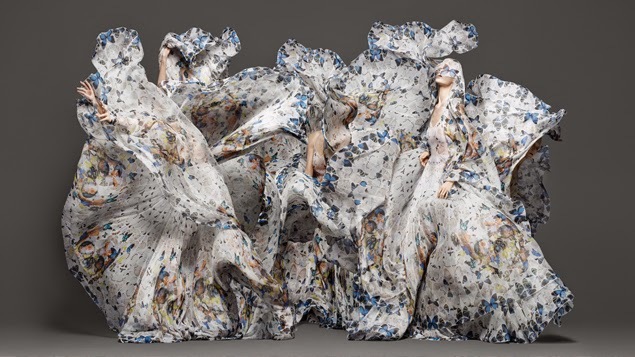 *We booked our tickets and soon we are going to the "Savage Beauty" exhibition. We can't wait to share our impressions with you all!! Hi! 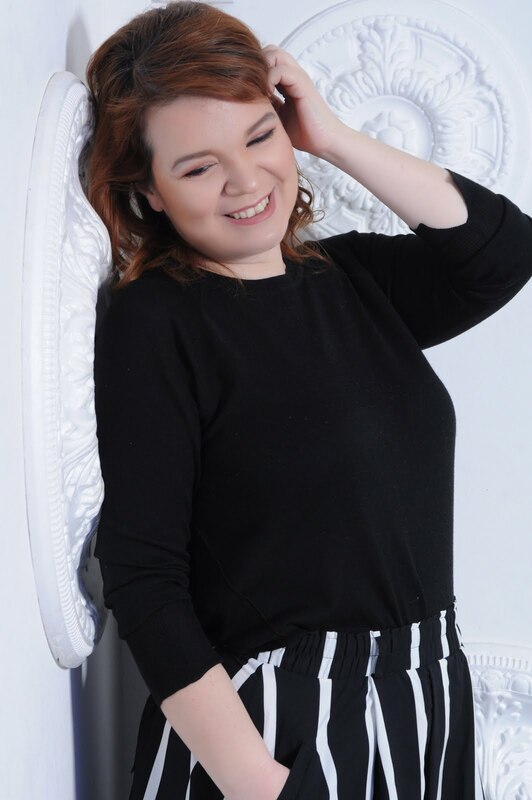 I’m Georgia (a.k.a Droula), I live in London and I’m all for beauty and fashion, even though I’ve never had and never will have the ‘right’ size in fashion standards. After becoming a mum I’ve decided to provide my styling services to other mums out there who struggle, like I’ve struggled, to find again their stylish selves.